You want your plumbing to work at all times, and when it doesn’t, you can’t help but feel frustrated. What’s going on with your plumbing, and how can you fix it? If you want a stress-free fix to your plumbing issue, JD’s Plumbing Service is here to help. Our Lakewood plumbing company is a cut above the rest, and we are here to help you. From our experienced technicians to our cutting-edge technology, we will get to the root of the problem and fix it quickly. Instead of feeling frustrated, pick up the phone and call us today. Plumbing is more than a convenience. You need it to maintain the value of your home and the health of your family. Our plumbing maintenance and repair services will ensure that your plumbing is up to your standards and up to code. We don’t just handle routine maintenance and repairs either. We are also always available for emergency services. Our Lakewood plumbing company will send someone to your home or business immediately if you have an emergency. We will get your plumbing back in working order in no time. We aren’t just your bathroom plumbers or your kitchen plumbers. We work on the entire house and even handle sewer lines. Our customers marvel at the fact that we can do it all. They often let us know that we are the only Lakewood plumbing company they’ll ever call again. After all, if you have a company that can do it all, why go elsewhere? Just put our number in your phone, and we will come right out the next time you need a plumber. You know you have a leak at your home or business. You just don’t know where it is. If you fail to fix the leak, you could end up with significant water damage and even mold. Our Lakewood plumbing company knows how to find the source of the leak and fix it quickly. Don’t waste time trying to find it on your own. Let us help you. Wouldn’t it be nice if you could avoid having plumbing problems altogether? You can cut down on plumbing issues when you use our Lakewood plumbing company. We offer preventative maintenance so you can avoid suffering from major plumbing problems. Let us come out and inspect your plumbing systems to make sure everything is working as it should. 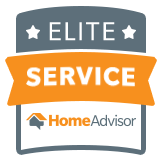 We can fix minor problems before they become major, saving you money in the process. Do you have a plumbing issue that needs to be fixed? Maybe you want a new toilet or your garbage disposal isn’t acting right. No matter the issue, we are here for you. Contact our Lakewood plumbing company today to schedule service. Our team will provide you with an estimate and get to work on your plumbing project.